MONSTOCK MOBILE is the free application of MONSTOCK. It allows companies to increase their productivity by managing their stock with complete mobility. Easy to use, it accompanies its user in his inventories, receptions etc. Customizable, it adapts to everyone's needs. It simply replaces handhelds and other expensive equipment to acquire and maintain by a mobile. Multilingual and connectable by Bluetooth, it offers the possibility to companies to import / export on Excel or in the Cloud. MONSTOCK GOOGLE SHEETS For companies that want to go further, we have created a unique solution to meet their needs in terms of inventory management. By migrating their Excel files into Google Sheets, teams can work on multiple devices instantly and seamlessly from their Monstock-enabled phones / tablets. Monstock is the first solution to interface with Google Sheets for inventory management. MONSTOCK CLOUD + Mobile allows companies to work in the cloud in several ways without any hardware investment. Connected permanently and from anywhere to their stocks, the salesmen, storekeepers and commercials can in all mobility from their smartphone offer a quality service by accessing the product sheets, by elaborating a quote, by following an order, consulting valuation and location of your stocks, etc. With instantly updated information, salespeople can offer their customers an effective and reassuring experience, responsiveness and reliability. 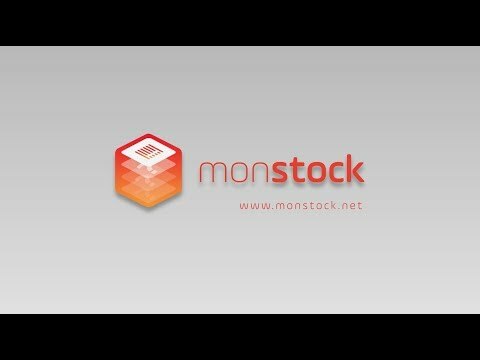 The MONSTOCK solution is compatible and communicates with the information systems that may already be in place in companies and is adaptable to companies' graphic guidelines, thus providing an intuitive complement to users who offer a more professional service, worthy of major industries.